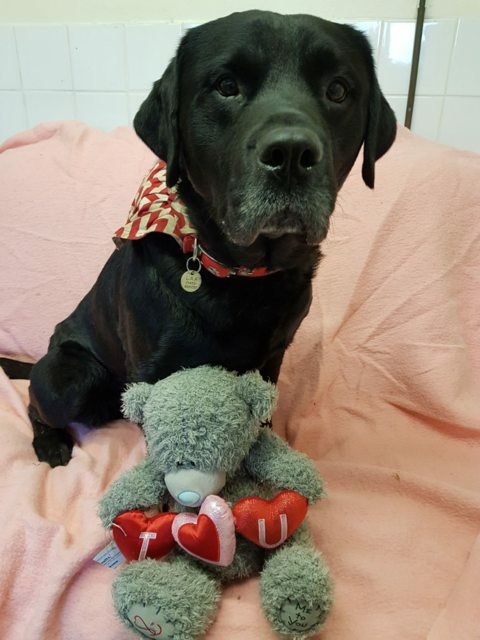 Albert Einstein is a 9 year old male Labrador Cross. Hey, ‘Albert Einstein’ here and I am certainly like the Professor; one clever young man! I have been misunderstood along the way and some have not interpreted what I have been trying to express but deep down I have a heart of gold and can be very affectionate. I am incredibly loyal and would certainly look after my new owner and let them know when someone is visiting us. I do enjoy holiday season and planning our next get away so don’t be leaving me behind! (Unless it’s a Vet trip, then I am happy to stay at home). I may have the odd creak and click here and there but my brain is still going and I’m loving life so let’s enjoy the time we have together, especially if I get the odd cuddle. Sadly we will have to eat separately as I do enjoy my food and this is one thing I will not share, not even if I love you, sorry. Another reason for me to be the only animal in my new home and within an experienced adult owners.